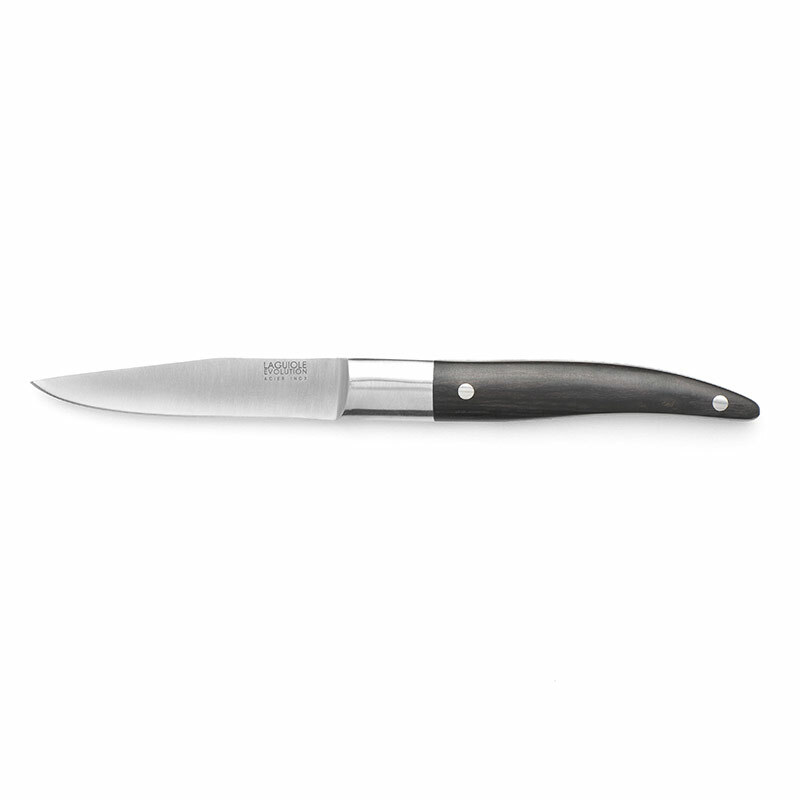 PHandy, the paring knife is useful to every cook. Very multi purpose, it rapidly becomes essential. Its ergonomic handle has been created to perfectly sit in your hand, thus ensuring great manoeuvrability and facilitating each move to guarantee great precision. Inspired by the tradition of Laguiole knives, this paring knife benefits from the same timeless manufacturing that ensures great robustness. 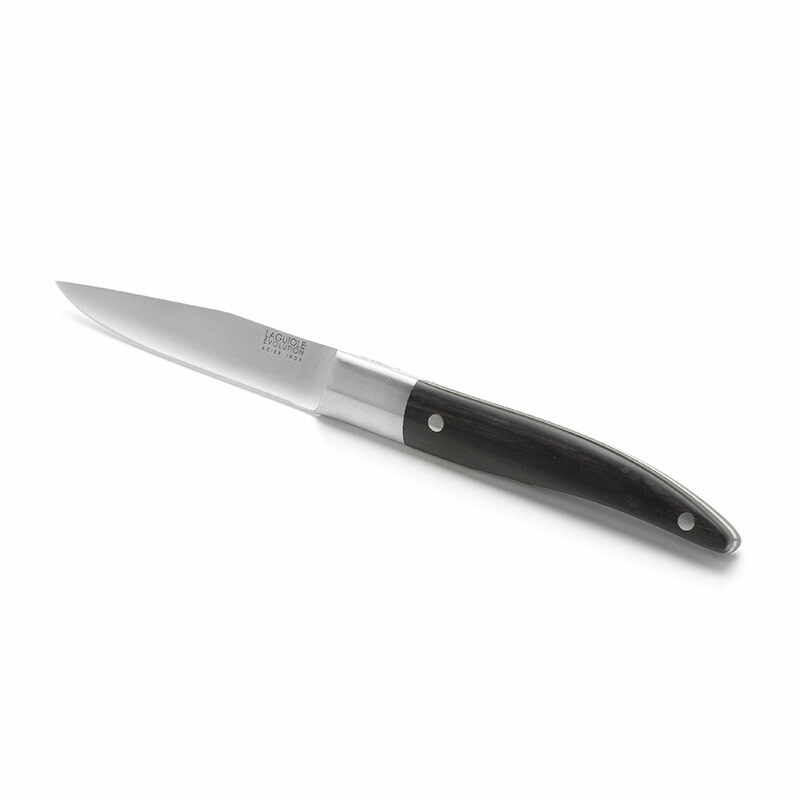 It has a high quality full tang stainless steel as well as a bakelised wood handle naturally anti-slip. Thanks to its mirror polish bolster and solid rivets, the blade of this paring knife benefits from an outstanding resistance. 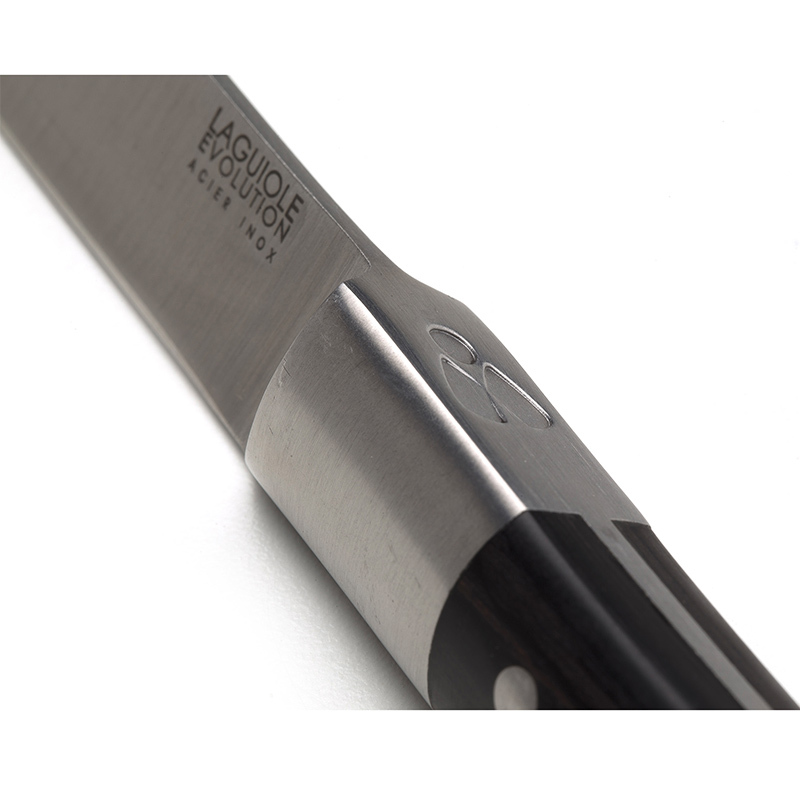 This knife can be personalised with a special writing made by laser engraving up to 30 characters.